The low level lasers are “soft” lasers often referred to as “cold” lasers, and do not have the thermal-component to cut, burn or vaporize. 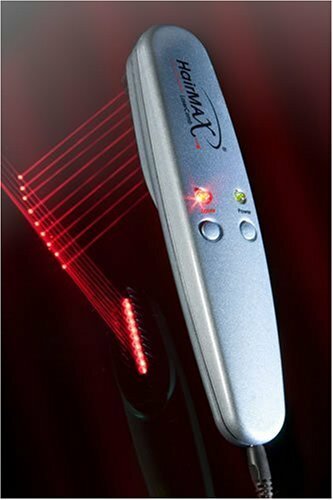 Low Level Laser Hair Therapy treatments utilize a device containing therapeutic soft low level light lasers which delivers light energy directly to the scalp. For post-operative transplant surgery, such treatments have been shown to help newly transplanted hair to thrive and increases the healing process. In 1964, Professor Andre Mester began experimenting with the use of low-power laser energy in Budapest, Hungary. In his experiments with wounds on mice, he noticed rapid healing due to microcirculation of blood supply. This healing was also obvious in Laser Hair Rejuvenation treatment of diabetic patients suffering with dystrophic sores. This theory, through its evolution, has since been refined and has widely become one of the most popular non-invasive hair loss treatments. Until recently, the use of such treatments has been relatively underutilized in North America. Today, however, there is increasing awareness and acceptance of such treatments. Simply stated, it is compressed light of a wavelength from the cold, red part of the spectrum of electromagnetic radiation. It is different from natural light in that it is one precise color; it is coherent (it travels in a straight line), monochromatic (a single wavelength) and columnated (it concentrates its beam in a defined location or spot). Unlike high power lasers, low level systems do not give off heat, instead using photo energy. For many years, leading hair restoration clinics and salons around the world have been using ‘cold-beam’ low level laser technology (LLLT) for individuals suffering from problem hair conditions. LLLT works by increasing blood flow to the scalp and hair follicles, encouraging hair volume and healthier looking hair. Both men and women experiencing early stages of hair loss (Norwood 1-3), may benefit from and see results from these type of treatments. It has also been shown to be especially effective in many men and women when used in a multi-therapeutic setting which includes the incorporation of a recognized programs such as Transitions dht SENSOR hair loss prevention and control program. Yes. LLLT meets all international safety standards and legislative specifications of a “non-significant risk” product, and is classified as a Class IIIA cosmetic laser.